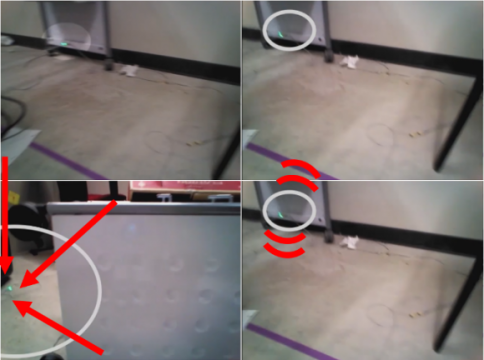 Monitoring video feeds from remote robots is a tiring and visually noisy task. We explore how to aid operators in noticing important targets and events by highlighting them with visual cues. We explore cue design in a multi-stage iterative design process, by leveraging attention, perception, psychological, and computer vision literature. Daniel J. Rea, Stela H. Seo, Neil Bruce, James E. Young. "Movers, Shakers, and Those Who Stand Still: Visual attention-grabbing techniques in robot teleoperation." In Proceedings of Human-Robot Interaction. ACM. 2017.